The Richmond Caravan & Cabin park is only a 20 minute drive from Hobart and a short walk to Richmond village. We offer a range of accommodation, self contained cabins, camping and powered sites. Park facilities include a campers kitchen, gas barbecue, half size tennis court, games room, playground and swimming pool. The Richmond Caravan & Cabin park offers a range of accommodation. It has cabins, campsites, powered and unpowered sites. Park facilities include a campers kitchen, gas barbeque, half size tennis court, games room, playground and solar heated indoor swimming pool available in the summer. Cabins are offered with private facilities. All cabins have tea and coffee making facilities, television, cooking facilities, heating, electric blankets. Some Cabins offering double bed and bunks others offering two queen and a single bed, and some with just a double. 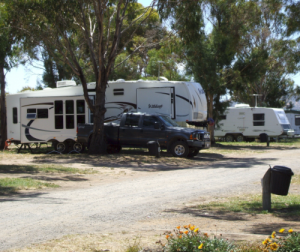 The Richmond Caravan and Cabin Park is the only Caravan Park in Richmond, Being just only 1km from the centre of town. 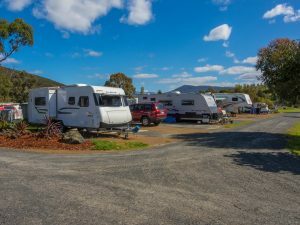 The Richmond Caravan & Cabin Park is located just a short walk from the main Richmond village street featuring craft shops, galleries, antique shops, maze, restaurants and tearooms, Richmond Arms Hotel, Take your time and admire the old buildings and historic sandstone bridge, picnic or even hire a wooden rowing boat at the peaceful Coal River and feed the ducks below Australia’s oldest working bridge, the Richmond Bridge. Other attractions including the Richmond Valley Golf Club, about 3 minutes walk from the park, surrounded by a variety of wineries, The wicked Cheese Factory, ZooDoo and the Bonorong Wildlife Park are located nearby. A good stepping stone for the east coast of the state, and the Tasman Peninsula. Richmond, Tasmania Australia is a small tourist town located app. 25 km north-east of Hobart, in the Coal River region, between the Midland Highway and Tasman Highway. Richmond area has a population of just under 1700 people. Richmond’s most famous landmark is the Richmond Bridge which was built in 1823, around the time of the town’s first settlement. It remains Australia’s oldest bridge still in daily use.